Some people have challenged TVL and asked us why we are running a coding course in such a rural part of the world when there are other forms of development that may be more in immediate demand, such as more medical supplies or providing skilled medical personnel. Non of these needs are mutually exclusive of one another and all are very important. I wanted to provide some background on why TVL is running this program and why we believe it is important work. There is certainly no shortage of challenges in Sierra Leone and we could try to tackle other problem areas but TVL's foundation is in education and entrepreneurship. The Village Link started years ago because a close friend from the village of Golu asked for help. He wanted the children in his village to have access to better education. These children are the future of Sierra Leone and Sierra Leone won't move forward if all we do is offer handouts and bandaid solutions. As an outside nonprofit we strive to provide the communities we work in with the necessary tools and opportunities to build up their own economy and solve their own community challenges. 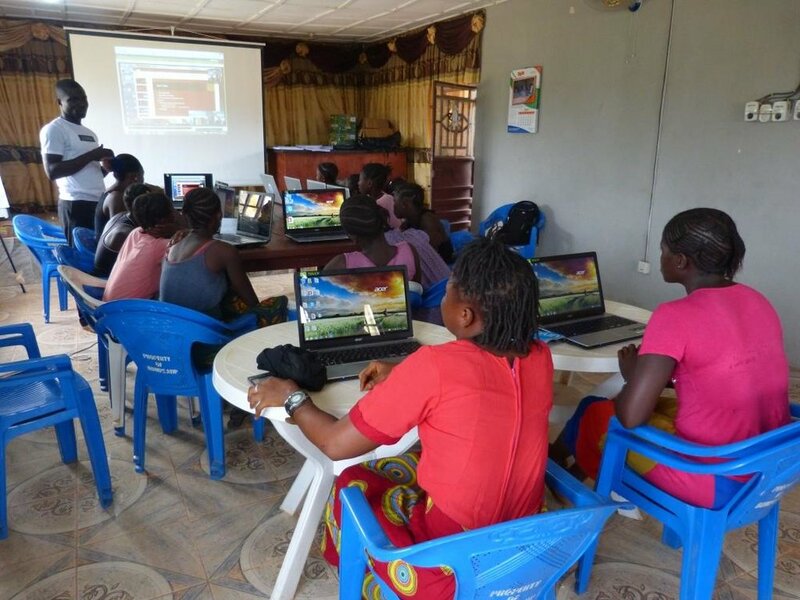 Our role is to facilitate educational opportunities so they can gain different experiences and exposure to new subject matter, train locals to run and operate the community resource centers, help set up revenue channels so the center can eventually become self sustaining, community owned and operated. With every program we run we always make an effort to seek local experts, partners and businesses to support the local economy. The programs we run end up being driven majority by a group of locals with TVL assisting from a distance. This coding course provides the girls the chance to learn a highly desirable, global skill set that could set them a part from others. We don't expect them all to love coding or choose this as a career path. But, how will they know if they want to do this or not without given the opportunity to explore something new? We live in a digital age where it has become a necessity to have a basic understanding of digital literacy. These girls have already taken part in a variety of digital literacy courses and now they are moving on to learn the language of coding. We don't know where this course will lead them in their lives but it's worth giving them the opportunity and exposure so they can see where it might take them. 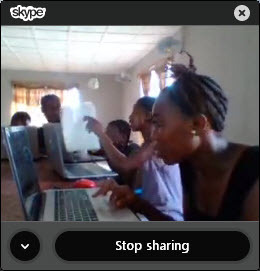 On 4/18, the girls from Bumpe and Golu started their second adventure into the world of coding with lesson 2. After discussing the programs we worked on last week and reviewing parts of the computer, the girls each wrote a new program that draws a square spiral. This program included the 'import' command and a 'loop'. These are programming concepts that are common in every programming language. We also discussed how to type like a professional and how to reach each key easily. Next week we will work on how to find errors and troubleshoot your program. After a two weeks in Sierra Leone we are back in the Bay Area and finally adjusted to pacific standard time. We had a wonderfully successful trip and lots of work ahead of us. Stay connected with us on Facebook for periodic updates and check back on our website for a summary of all our activities, adventures and more! This week TVL had a meeting in Bundobu to discuss future plan's for Golu and TVL. Our resource center volunteer in Golu, John Try met up with Mike O'Neill, Director, Global Safety and Security for Save The Children and long time Golu resident and friend of TVL's founder, Mr. Fillie. 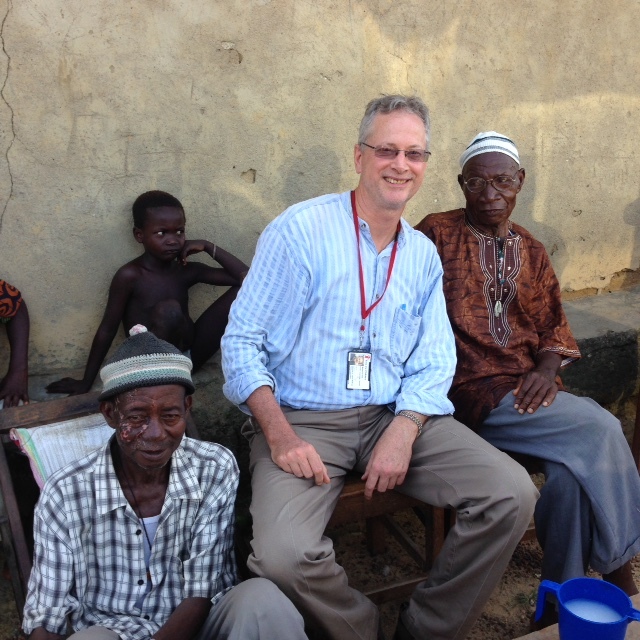 Currently Mike is busy in Sierra Leone helping to set up an Ebola Hospital for the rest of the month. During his off time, he was able to meet with us to help strategize current and future opportunities for Golu and TVL. TVL is currently working on raising funds to purchase and distribute radio's to families in Golu with school aged children so they can take part in the Ministry of Education's radio education program. This is a very affordable program and will provide the opportunity for children to catch up on their studies since schools are closed due to the Ebola crisis. You can make a contribution to this program here. Just $25 will get 1 radio and 2 batteries for a family in Golu. Below are some more photo's from the meeting.